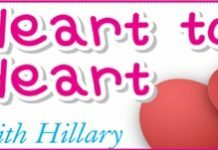 Home Blogs Heart to Heart with Hillary Now it’s RAMS as well! Now it’s RAMS as well! Every time my computer breaks down, after I get it back several days later but when I go to use it, something else has packed up. “You haven’t got enough RAM,” seems to be the catchword even after buying more, the problems are still there. Any ideas, Hillary? You’re lucky it’s only a RAM problem. I’ve bought a veritable sheep station of RAMs and now they’re telling me it is my operating system. Bring back faxes, I say. I could understand those.